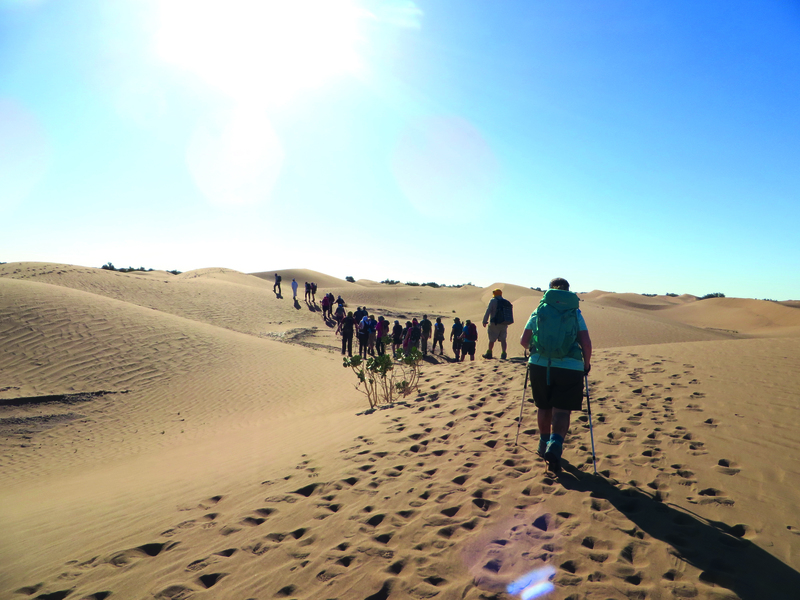 YOU’LL REALLY EXPERIENCE GETTING ‘OFF THE GRID’ – The Sahara Trek 2020 will provide the perfect opportunity to take a bit of time out of your busy day to day routine. The limited phone signal means you can really get off the grid for a few days and take time to enjoy the tranquil surroundings and experience desert life, including learning how to navigate by the stars and discovering how to cook bread in the sand! It will also give you time to get to know your fellow trekkers, the support team, and even become well acquainted with the herd of friendly Moroccan camels who will accompany you throughout to carry your bags and equipment! YOU’LL HAVE THE OPPORTUNITY TO IMMERSE YOURSELF IN THE CULTURE – Morocco has a vibrant and diverse culture, which you will have the chance to experience for yourself during your time there. Visit the vibrant markets of Marrakesh, known as souks, and marvel at the city’s stunning architecture. Explore the contrasting city of Ouarzazate, made up of palm trees, sandy streets and fort-like buildings. In the Sahara itself, take the chance to speak to the local support team who will all have an in depth knowledge of the area, as they prepare traditional Berber cuisine for you to enjoy. YOU’LL MAKE MEMORIES TO LAST A LIFETIME – one of the most common pieces of feedback we receive from our trekkers is that the experience was not only an incredible one, but also one which will last a lifetime. Perhaps you have taken on the challenge as it is something you never thought you would, or could, do. Or perhaps it’s in memory of a loved one. Or maybe you want to see a beautiful part of the world with a group of like-minded people. But whatever the reason, it isn’t a decision you will regret. The memories you make and the moments you share as you tackle the Moroccan Sahara will last long past the final step. YOU’LL BE TREATED TO SPECTACULAR SCENERY – Just when you think the view can’t possibly get any better, you reach the top of the peak you’re climbing, and the view does just that! The unique scenery of the Sahara desert will take your breath away; from the undulating sand dunes, vast sun-baked plains and ancient dried up river beds, to the vibrant sunrises and sunsets, and the stunning night sky. You may even have the chance to fall asleep under a blanket of stars if the weather permits! 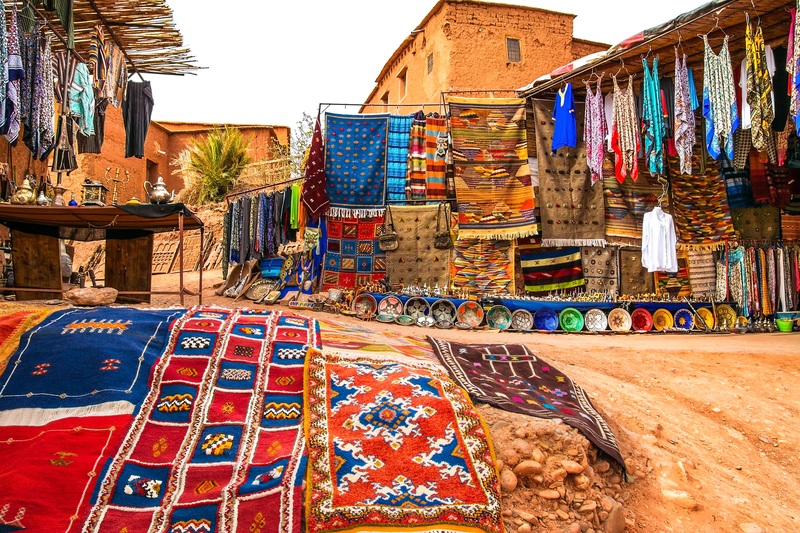 What’s more, you’ll get to experience the bustling city life in both Marrakesh and Ouarzazate before and after the trek. YOU’LL GET THE CHANCE TO MAKE NEW FRIENDS – One of the best things to come out of doing a trek is the friends you will make along the way. They will be the people who are there for you with every step you take and every memory you make. They’ll support you through the challenging moments, cheer you on as you reach camp each day and celebrate with you as you complete this once in a lifetime adventure. You’ll be amazed how quickly strangers become friends, especially when you all have the same determination to complete the challenge and raise funds for St Catherine’s. So whether you are an adventure lover who enjoys breathtaking landscapes, you want to be part of an inspiring team, or you would like to conquer one of the world’s largest deserts, join us for our magical Sahara Trek 2020 from 26 – 31 March 2020. To find out more about the trek, attend our information evening on 28 February or get in touch by calling 01293 583063.